On February 7, if you are wandering around the popular South Beach in Fort Kochi, you are sure to come across a magnificent herd of 100 Asian elephants. If you are wondering about the possibility of such a huge congregation of these beings at one place, let us break the news. These are beautifully sculpted life-size elephants that have been made by tribal artisans from Thorapalli in Gudalur using Lantana camara or Lantana, a toxic invasive weed. 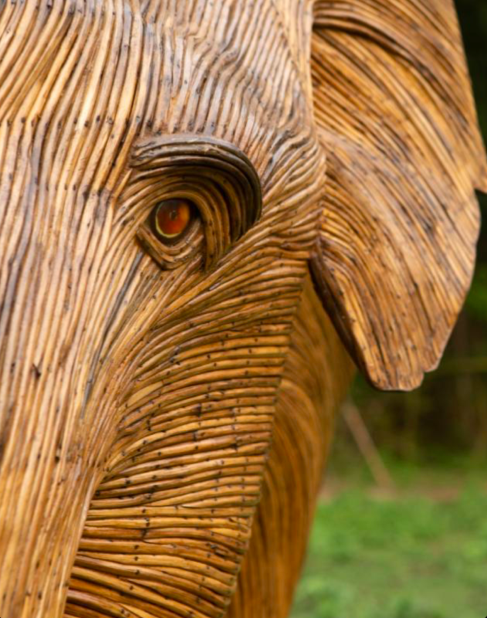 Highlighting the cause of nature and wildlife conservation at a global scale, the Lantana elephants are part of a greater initiative to raise funds for conservation and help people and elephants live together more harmoniously. 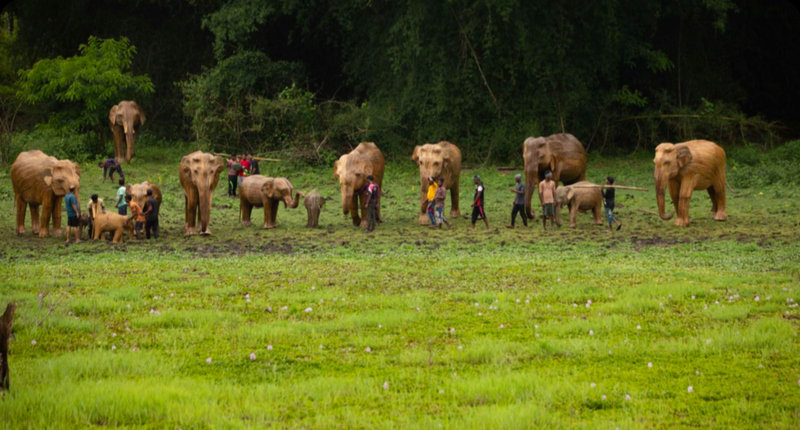 The collaborators of the project involve various non-profit organisations from across the world including the UK based Elephant Family, The Real Elephant Collective(TREC), the Ashoka Trust for Research in Ecology and Environment (ATREE), and The Shola Trust. “Our vision is to bring Asia’s elephants and the issues they face out of India and the shadow cast by the African ivory crisis. With Asian elephants numbering only a tenth of their African counterparts, the importance of this unique migration cannot be underplayed. The survival of a species is at stake,” says Ruth Ganesh, principal trustee and the creative force of Elephant Family. She had conceptualised the Lantana herd along with Shubhra Nayar of TREC. 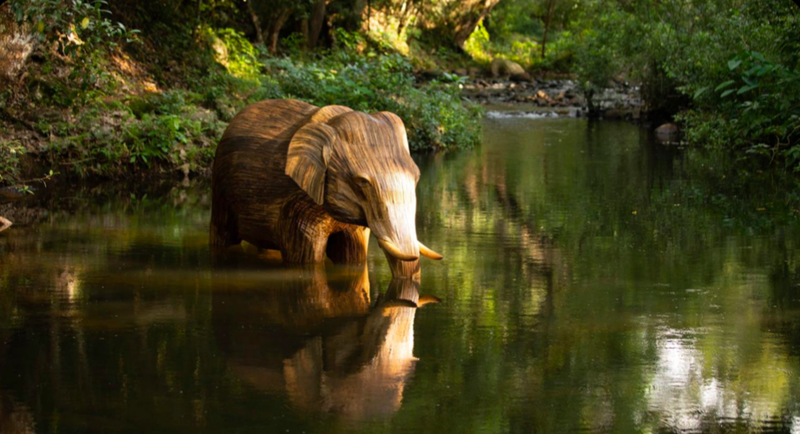 Modelled on real elephants from the Gudalur-Pandalur region, in its bid to raise awareness and funds for the conservation of Asian elephants, this unique project is also clearing the harmful Lantana from the Nilgiri forests while providing livelihoods to about 70 artisans from the Paniya, Bettakurumba and Soliga communities. With their inherent knowledge of wild elephants and their exceptional crafting skills with Lantana, these artisans are bringing life to the elephant forms, while earning a dignified income. Lantana was introduced to the Indian subcontinent as an ornamental shrub by the British. However, it has taken over forests at a disturbingly fast pace, and is threatening the survival of the pachyderms by reducing their fodder base in the region. The tribal artisans. Courtesy: The Shola Trust. “Lantana encroachment has a negative impact on the regeneration of native flora, fodder and also non-timber forest products. It pushes animals out of forests, causing crop damage for local people, with a huge negative impact on livelihood of the indigenous communities. This project provides them with a livelihood opportunity and also gradually clears the forests from Lantana,” says Dr. Siddappa Setty, a fellow at ATREE. This magnificent herd will stay in Kochi for about a month and then travel across the world to be part of exhibitions at different locations for auctioning. The proceeds will be routed to a newly created Asian Elephant Fund that will be governed by a panel of elephant specialists i n Asia. 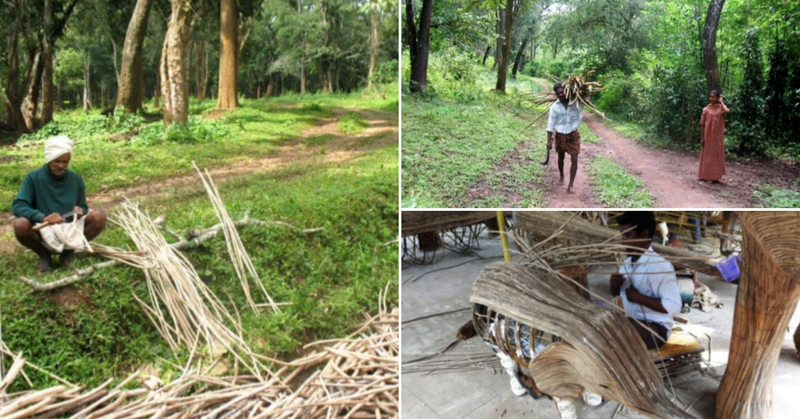 “This project is innovative in many ways—it uses traditional indigenous artisanry to create these beautiful forms which can raise both awareness and funds for conservation while contributing significantly to indigenous livelihoods and clearing an invasive species to restore ecosystems,” adds Dr Nitin Pandit, Director of ATREE. To know more about the Lantana elephants and their global tour, click here.